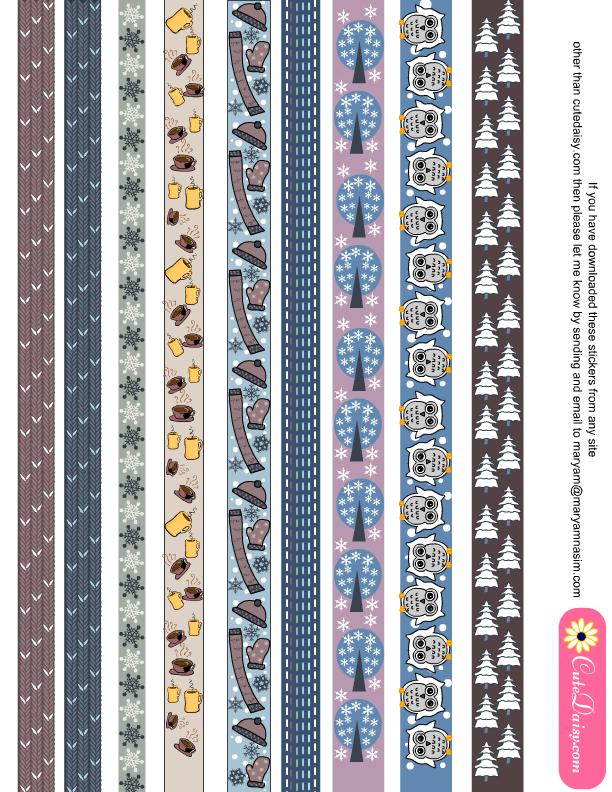 Today I made these adorable free printable winter washi tapes that you can use to decorate your happy planner, Erin Condren life planner, bullet journals, filofax planners, plum paper planner, crafts, greeting cards and even scrapbooks. 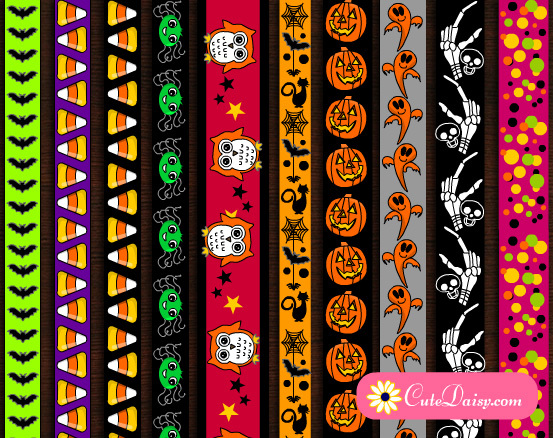 These winter washi tapes will also make cute borders for envelopes and other paper crafts. 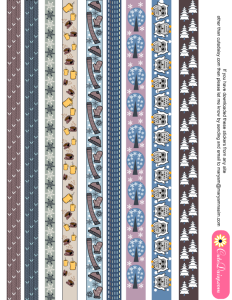 I am sure that you would also love to use free printable winter themed planner stickers that I have made for Happy Planner and Erin Condren Life Planner. 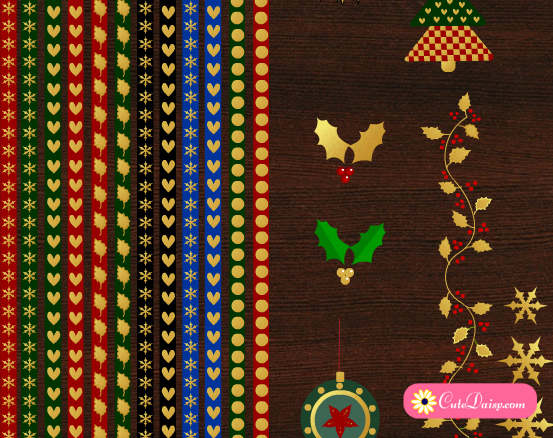 I have used a winter palette of dull colors and not used very bright winter colors as I am planning to use bright winter colors for my Christmas collection. 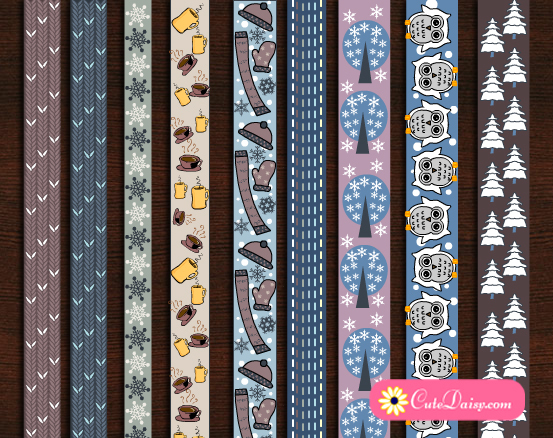 You can download these free printable winter washi tapes here. These are beautiful and just perfect. I love all of them. I don’t know how you do it, but every time you come up with such wonderful printables! Thank you so much for sharing with us!!! 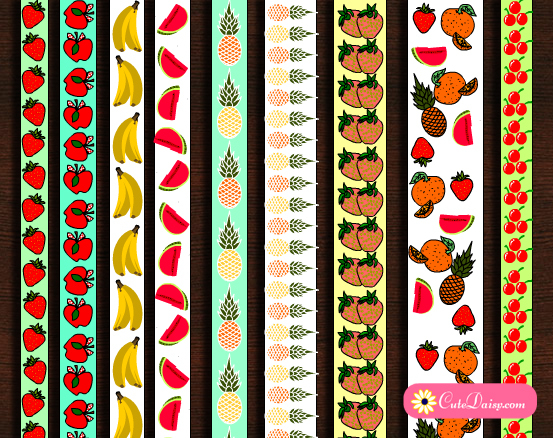 What wonderful printables you create! Thank you so much for being so generous! I can’t wait to use some of them in my planner – thanks again!